Home » Spiritual blog » Chinese horoscope for the Rabbit month. Chinese horoscope for the Rabbit month. Here is your 12 Chinese signs horoscope for the Yin Water Rabbit month of March 2017, as well as your Bazi/Four Pillars of destiny forecast. Let’s start with the 12 signs of the Chinese zodiac = your year of birth. Remember that it is only 1/4 of your chart: the year Pillar. A Bazi Is made of Four Pillar that are your year, month, day and time of birth. If you click on each sign in blue, you will open my year 2017 Chinese horoscope for your sign along with this article. The Rat should have a good month. This month you are in a rather ideal situation, Rats, as you receive good Intel from the Rooster year’s Chi and can also communicate well. Use this time to advance in your work and to network. At this time you can make friends, analyse your behaviour in a gentle, therapeutic way and also express your thoughts, desires and emotions clearly. It is a good month to be creative, socialize and help others in every way you can. The Ox is in an interesting situation this month. As an Earth sign that contains a lot of Metal, you are mostly controlling the energy of this Rabbit month with the help of the Rooster year. This bod well for your career: it could be the month of a promotion and by all means look at opportunities to rise to the occasion. Even if you have a good position, keep your eyes wide open to see if something better manifest this month. Taking a chance could pay off big times. As for your love life it can be a bit tenser, but single people of the Ox sign could meet someone interesting. The Tiger should also have a good month. 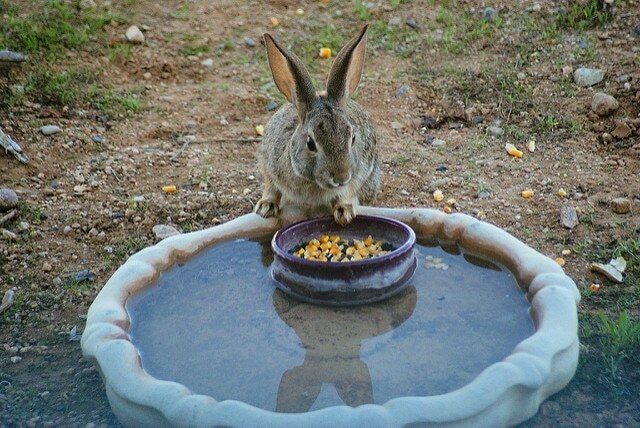 It is your time to shine, as the Yin Water Rabbit brings a special “chemical” reaction to your sign. Rabbit months are usually good for you to network, go out, be seen and make new friends. This one is even better. Public speeches, conferences or seminars that you lead should be highly successful this month. It is also a great time for job interviews. You will feel totally reinvigorated by this Chi and will shine in most situations. Still, be mindful of resting enough Tiger: it is a bit early during the year to follow your favourite lifestyle of parties and excess. The Rabbit is not in a good situation this month. The clash with the Rooster year hits you very frontally during your sign’s month. Expect to be in many situations where people don’t listen to you, put you down or simply disrespect you. It seems difficult for you to win an argument at this time, so you better don’t start any. It’s neither a good time to negotiate anything nor to have great debates of ideas with your loved one. Keep a low profile, as much as possible. The work to be done for you must be internalised this month: the situations will give you plenty of food for thoughts. Luckily the Yin Water of the month eases the clash a bit. If you exercise however, go gentle this month. Travelling and generally moving around will help you to dissipate some of the tension. The Dragon, like the Tiger, should have an inspirational month. It is a great time to expand your network and develop opportunities. If you are freelancing, by any means launch some new campaign and reach out to your potential clients on social medias. It is a good time to expand and be noticed. This should also apply to your social life. Get out of your cave, Dragons, and join groups that interest you such as sport clubs or artistic workshops. The people you’ll meet over there should be interesting…enough said. The Snake should go through one of his most inspirational month, and so early in the Rooster year! The entire Chi that you sign contains combine with either the year or the month this time. It is a very transformational and uplifting month. Magic is in the air and you can go to the next level of understanding who you are, and what your life mission can be. Knock at every door as many will open. Make new friends and look for partnership in your work. Many ideas will come to you and it can get confusing at times: filter them, write them down and prioritise. Needless to say this bod well for your love life: if you are single, the chances of meeting are high during the Rabbit month. It is also a good time for spiritual development of any sort. Make the best of this exceptional month! The Horse is one of the sign that is in a harder spot this month. Your thoughts are unclear and your energy lower. Be mindful of your lifestyle: under such influence, it is much easier for you to catch a bug and be weakened. Retreat in your shell or stable for the moment as you should aim at keeping your Chi rather than wasting it. It is a confusing month when everything seems to be a bit against you: you won’t have it your way and won’t even know what you really want. Aim at resting more and taking care of yourself, your time will come later on this year. The Goat is also a bit confused by the direction to take this month, as they don’t like the Yin Water too much. Luckily, the Rabbit is good to them. You should be in demand this month both with your work and social life. It is actually a good time for you to develop your projects, go for contacts and explore new ventures. The Rooster’s sign of the year however tends to break the harmonious combination that you have with the Rabbit. Which to me, your astrologer, means that you cannot take words and situations for granted. If you intend to change job for example, don’t think it’s a done deal until you have received and signed the contract…same with people that could be two faced this month. Be mindful of this and you’ll be fine. The Rooster is in direct opposition with the month’s energy. While it is in your favour, you should still be mindful. You can carefully advance your pond and get more money, or extra work this month. It is actually a good time to rebuild your reputation and gain some respect from your boss or co-workers. However, you must keep in mind to stay very humble with your success and not use your position to abuse anyone or any situation. If you do so, the monthly could be good. Be mindful of arguments, as there is tension in the air for you Rooster, still. Know that you are under great scrutiny at work this month, and behave accordingly. The Dog is a bit lost this month. This month and year combined blow hot and cold on your sign. Some days you will feel on top of the world, some other you’ll be discouraged by the amount of tasks that you still have to accomplish. Take it easy, one day at the time: do your work steadily and you’ll be fine. This is not the right month for life changing decisions. Wait to have more clarity (or a Bazi reading) to know which decisions to make and which way to go. This also applies to the people whom are in your life as you could be confused about your feelings at this time of the year. The Pig, even more so than the Monkey or Tiger, have a great line up of energy this month. It is an ideal month to move forward with all your projects, such as: getting a new position or asking for a promotion; scouting for a new living place or making a house move; investing into something etc. Luck and the planets are on your side and what you want to create, you can easily get if your desires, needs and communication skills are all aligned this month. It is a great time to be creative and impress some people in your industry. Make the best of it, Pig. For you love life too, there is magic in the air. Now we move to the Bazi tendency if you know your day master. If not, now is the time to order your personalised Bazi analysis and report to find out! For the Yang Wood (Jia), the month is a bit difficult. There is competition and bitching in the air at work. Be careful with your words and actions as you are in a minefield. It is however a good time to take a training of some sort and to acquire new skills. At home, try to avoid dominating your partner. Treat everyone as your equal this month. For the Yin Wood (Yi), it is a month of self-reflection. It is ideal to do your own psychoanalysis. You might not find all the answers right now, but can get new ideas. The relation that you have with your family will be very much at the centre of the month. For the Yang Fire (Bing), the month is taming you a bit. You will learn that moderation with your words goes a long way. People are more willing to listen to you when you speak kindly and put yourself in their shoes. At this time, you are good at connecting people and finding solutions. You will be seen as a great counsellor and guide of some sort this month: use your influence wisely to generate a good karma. For the Yang Earth (Wu), the month is blowing hot and cold and will confuse you over and over. The Universe is asking you to raise your energy level, aspirations and goals. If you stay mundane or focus entirely on materiality, you will not like this time of the year. Try to explore spiritual traditions and help others while putting your ego aside, and there will be much to gain. For Yang Earth women it is however a great vibe to meet someone or even get married at this time. The Yang Metal (Geng) should have a good month. The Rabbit sign is always good to both your finance and love life. You can achieve much in your work and improve your income at this time. Try to build partnership in your work, if you are freelancing. It is a good time to launch a new product. It is also a good time to go out and meet new people. Be aware however that the Rooster year tries to chop down the Yin Wood of this month, which represents for your opportunities: so be flexible, willing to revise your plans and don’t take people or situations for granted. The Yin Metal (Xin) must be careful to not impose their will too strongly at this time. Try to not be authoritarian, but rather aim at being a helpful guide. You have wisdom but should not be cocky. You can get a new job and make more money this month, if you are willing to be a team player and show it. Be humble, precise and willing to work and good things will happen. Men shall refrain from being too opinionated this month, for their own good. The Yang Water (Ren) is in a key position this month. Like the Yang Fire, but for other reasons, you are seen as quite the problem solver. Don’t be surprised if people turn to you to ask for your advice: friends, family or co-worker. Now is your time to guide and help, and at work you can impress with your great insight, sounds ideas and practicality. For your love life it is a bit tenser, so avoid confrontation. It is however good for your social life and also for your wellbeing if you need to recharge your batteries. Practicing sport will be useful this month. The Yin Water (Gui) goes through a month when they will feel between the anvil and the hammer. Aim at serving and helping others, as this is otherwise not a flattering month for your ego. You could find your life a bit dull at the moment and lacking excitement. Be careful what you wish for still: sometimes the quiet waters are a blessing. Use the stillness of the month to advance in your personal development and projects, rather than to procrastinate, and you’ll do well. ← Feng Shui luck boost for the Tiger month, February 2017.